Over three decades of experience, a great education, and excellent qualifications are the benefits that Mr. Trenhaile brings to the marine industry. His broad background includes naval architecture, marine engineering, maritime administration, human factors engineering (ergonomics), forensic marine surveying (ship, barge and boating accident reconstruction and documentation), maritime and construction safety, expert witness, regulatory submittals (USCG & ABS), computer aided drafting, vessel design and construction. He capably works on most types of marine craft. This includes work boats, tugs, barges, tour boats, fishing boats, yachts, passenger lines, cargo vessels, catamarans, vessels with cranes, military craft, and floating dry docks. He works with steel, aluminum, fiberglass, and wood vessel construction methods. His philosophy: "The purpose of a vessel is to serve humanity. Therefore, it should be safe, functional, economical, and aesthetic." 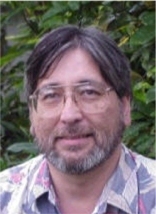 Mr. Trenhaile presently serves as principal engineer of Hawaii Marine Company. As the owner of this firm he has full responsibility and a wide variety of experience. He brought computer techniques into this firm. From 1977 to 1981 Mr. Trenhaile worked with Pacific Marine as Quality Assurance Manager. He also did estimating, project management, and technical support. In 1976 Mr. Trenhaile worked with M. Rosenblatt & Son in their San Francisco office. He did structural analysis and checked others work. From 1971 to 1974 Mr. Trenhaile worked with Pacific Marine and Supply Company. Here he served as Assistant to VP of Operations. Duties involved compiling reports for US Navy & USCG vessels. He also did material estimating and marine drafting. From July 1971 to August 1971 he worked with Piper Marine Craft. Here he served as a boat carpenter and worked on fiberglass hulls. From April 1971 to July 1971 he worked for Hawaiian Seamaster Sampans Incorporated as a carpenter and draftsman. Registered Professional Engineer with State of Washington since 1982. Member of the Society of Naval Architects and Marine Engineers, also a member of the American Boat and Yacht Council and the International Association of Marine Investigators. Completed classes in Structural Engineering, Sailing, and Celestial Navigation, at University of Hawaii and the Bishop Museum. Debate Judge, National Forensic League, 2003-04 academic year. Contractor Quality Management Certificate, Naval Facilities Engineering Command, Honolulu, Hawaii, effective 25 September 2003. 30 Hour OSHA Course, Safety First Management Group, 26 Sept. 2003.